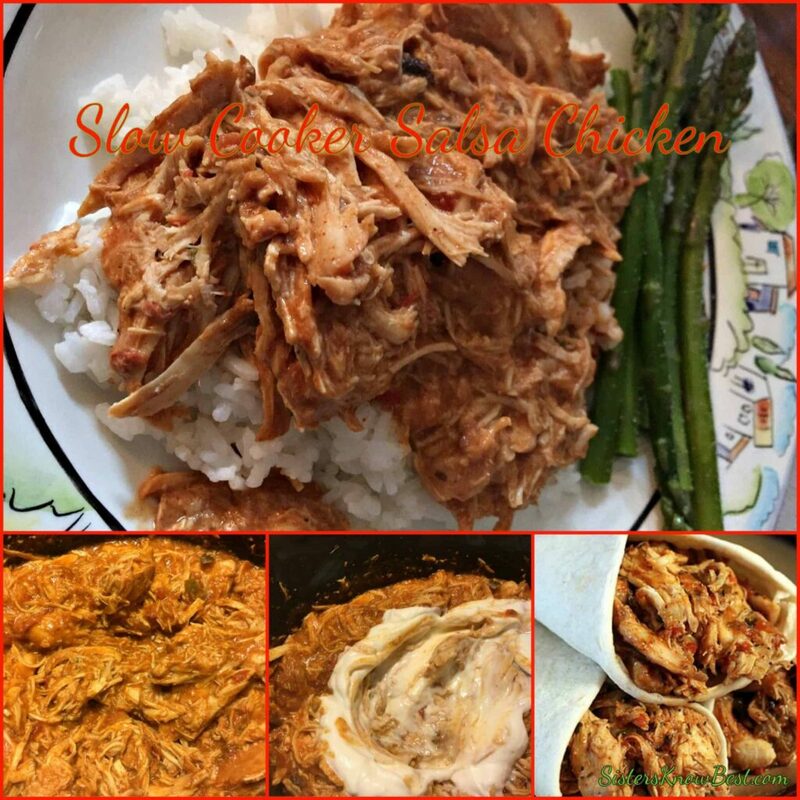 Slow Cooker Salsa Chicken is one of those EASY Crockpot meals in the Sisters Know Best Crockpot Freezer Meal Series. I wish when I bought my ingredients I had purchased enough to make a bunch of these. I only made 2 batches of this one. 🙁 It’s healthy, quick, and flavorful! Not to mention versatile. The next time we have it, the family wants to try it as a burrito. I’m happy with it as is on rice… but I will try it with some black beans added in. 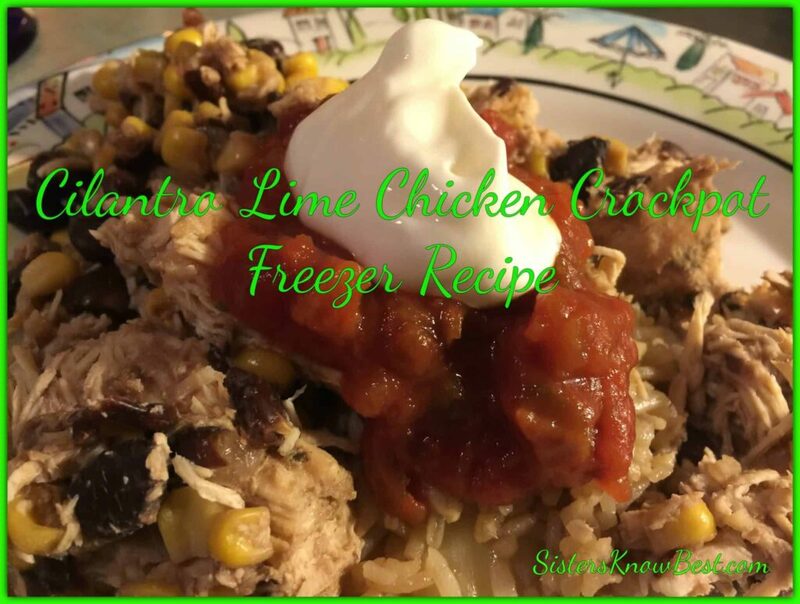 I loved making this Cilantro Lime #Chicken #Crockpot recipe because of the lime fragrance. Lemons and limes are so refreshing. I squeezed the lime in to my freezer bag when I prepared it and threw the peeling in my garbage disposal. 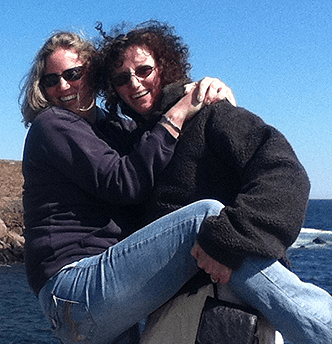 It’s a great way to freshen it up! I had my chicken over rice and Bill had his in a wrap. We both thought it was delicious! 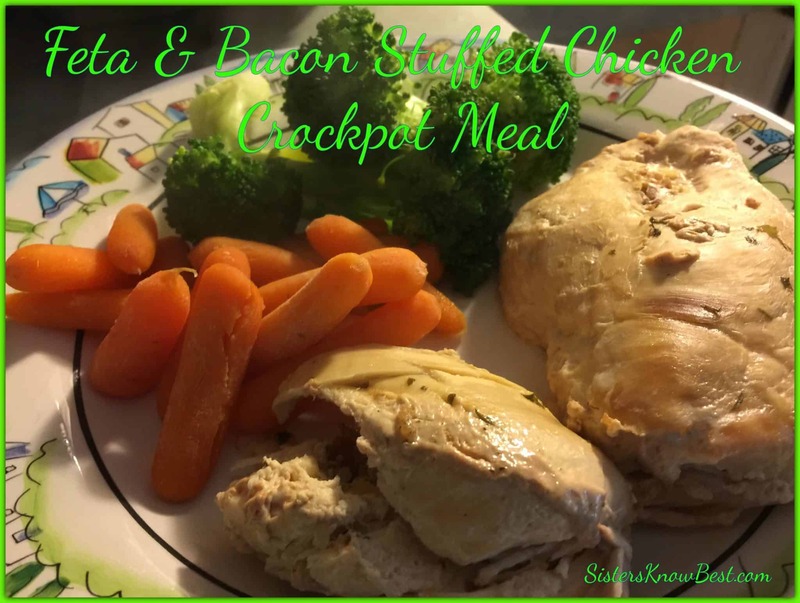 This slow cooker recipe for Feta and Bacon Stuffed Chicken is one of my favorite in the crockpot freezer meal series! I love all 4 ingredients and it’s so easy to make. The first time I made this I made up 6 of them and froze all but one. The frozen ones came out just as good as the fresh one. If you love feta and bacon, you will love this yummy recipe!